Dubai, UAE - April 17, 2019: Only days after the official global unveil, OPPO—a leading global smartphone brand—has officially launched its newest smartphone series, Reno, in the Middle East. 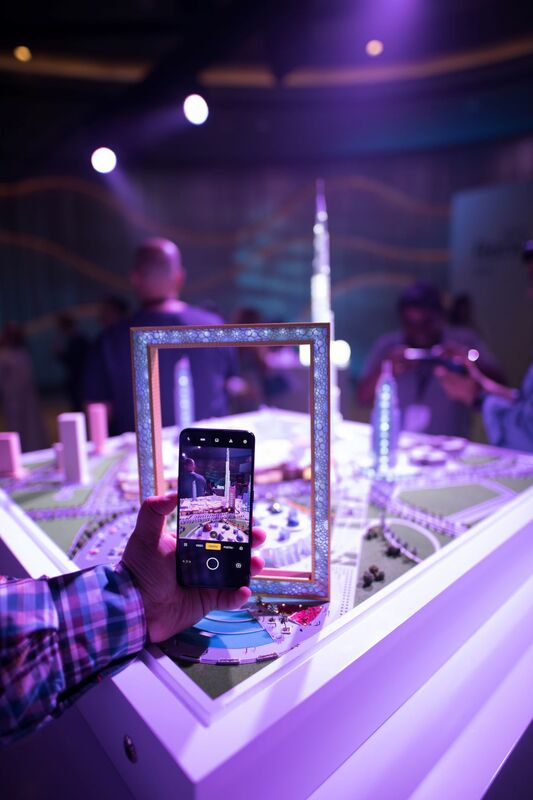 The company selected Dubai as the location for the premium series’ first international launch, emphasizing the strategic importance of the region to OPPO’s global brand strategy. The Reno series includes two new smartphones: OPPO Reno 10x Zoom Edition and the Reno Edition. Both are stunningly designed, with notch-free full view OLED displays, a breakthrough side-swing, pop-up selfie camera, and powerful hardware capabilities. Reno version will be available for pre-order in the UAE starting April 17 and Saudi on April, 18th. Sales beginning from April 22nd in UAE and April, 25th in Saudi. The OPPO Reno Edition will be available in 6GB RAM + 256GB storage option at AED 1,899 in UAE and SAR 1,899 in Saudi Arabia and the price and available date of OPPO Reno 10x Zoom in an 8GB RAM + 256GB storage version will be revealed later. Customer can also opt to purchase the new OPPO devices from Etisalat with its smart pay plans up to 24 months. 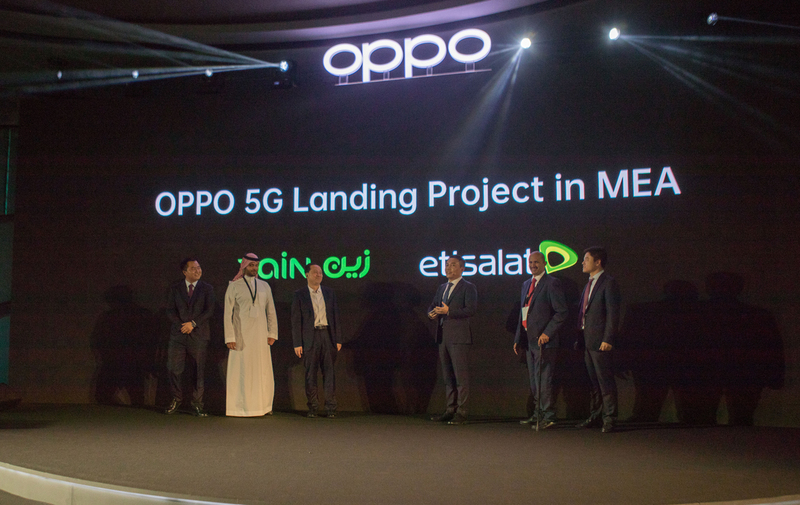 During the unveil, OPPO also announced a new “OPPO MEA 5G Landing Project” with leading regional carrier Etisalat and Zain. The project will further enhance 5G development in the region after the first 5G smartphone commercial co-test from both parties earlier this month. The company’s global 5G Landing Project is a proposed initiative by OPPO and leading global carriers aimed at bringing 5G products and services to users as soon as possible. To bring true 5G experiences to users, OPPO is committed to working with industry partners including carriers to jointly accelerate the development of 5G. With Reno, OPPO has expressed its belief that an exceptional camera should be able to help users express themselves through photography, enabling them to clearly record every precious moment in life. The OPPO Reno 10x Zoom Edition goes above and beyond with a tri-lens full-focal length capability, including a 48MP HD primary lens, a 13MP telephoto lens, and an 8MP wide angle lens. These cameras work together to achieve a full-focal-length coverage of 16mm-160mm, thus offering 10x hybrid zoom. The primary lens of the Reno 10x Zoom Edition employs optical image stabilization (OIS) and a closed-loop focusing motor, as well as three different focus modes so you don’t miss any special moments. The ultra-wide-angle camera of the Reno 10x Zoom Edition offers users a 120° wide angle camera, which makes it easier to capture a wider range and multi-person portrait. The new Reno models make taking night shots incredibly easy with professional-grade quality. The Ultra Night Mode 2.0 function allows users to capture sharp pictures and vivid colors at any time. With Ultra Night Mode 2.0, Reno processes faces and backgrounds separately to offer optimized skin-tone effects to present a more realistic picture. The Reno 10x Zoom Edition also supports 4K UHD video recording at 60fps, equipped with optical image stabilization and the latest electronic image stabilization. A stand-out feature in the design of Reno is its unique 16MP front-facing camera that uses a Pivot Rising Structure to pop up on demand. This motorized Pivot Rising Structure has passed strict quality testing standards and can be used for more than 200,000 times without fail. Even if average users use it roughly 100 times per day, it can maintain over five years of usage. Furthermore, OPPO’s designed a drop protection mechanism whereby the phone can sense in real time if the phone is in free-fall, and automatically retract the camera to prevent damage. Reno carries this mantra into reality, taking into account OPPO’s aesthetic journey to be inspired by industrial design while integrating symmetry and balanced beauty. Available in two color grades, Ocean Green and Jet Black, both Reno models feature a matted texture on the layer beneath its glass façade, delivering a more delicate touch without compromising on the vitality of color. The Reno 10x Zoom Edition also features a 6.6-inch notch-less panoramic screen, protected by Corning Gorilla Glass 6. Visually, the ultra-slim bezel provides stunning visuals, and you will literally feel as if the screen is floating off the body of the phone. The bezels on both sides are only 1.63mm, of which the lower bezel is only 3.5mm. The notch-less full screen achieves a stunning 93.1% screen-to-body ratio, with no ports and no interference. The Reno 10x Zoom Edition is equipped with the new VOOC 3.0 fast-charging feature. It complements an already large 4,065mAh battery. VOOC 3.0, the low-voltage fast charging solution also enables charging while playing games, without excess heat, and with no limits on performance. Consumers will also enjoy a Snapdragon 855 chipset, with LPDDR4x Standard Memory and UFS 2.1 Flash storage, all of which contribute to an outstanding user experience. The Reno Edition has a Snapdragon 710 chipset and a 3,765mAh battery. Reno's gaming performance is no mere boast. It includes a system-level optimization solution, Hyper Boost, independently developed by OPPO, which includes three modules: Game Boost, System Boost, and App Boost, which bring significant performance improvements in terms of the game experience, system speed, and App opening speed, respectively. The series is also the world's first mobile phone to obtain TÜV’s High-Performance Certification for Games. OPPO has cooperated with TÜV Rheinland's core technology testing departments to fully evaluate the comprehensive gaming experience of mobile phones and passed 55 items in 31 test categories covering four dimensions: communication, endurance, screen, and system. These professional use tests align with users' real-life habits and work to fully evaluate a mobile phone's comprehensive gaming experience.